In 2015, Labatt, a subsidiary of AB-inBev, became the latest owner of the Stanley Park Brewing name when they acquired the Turning Point Brewery on Annacis Island Delta BC from the Mark Anthony Group (MAG). Shortly after, in 2016, they announced that they were taking over the currently defunct Fish House Restaurant in Stanley Park to create a brewpub. The history of the name and brewery is one of the most interesting stories in BC brewing, but not necessarily for the right reasons. Most of us are aware that the beers currently labelled Stanley Park Brewing are not made in Stanley Park. What may surprise you is that, strictly, beer never has been made exactly “in Stanley Park”. The original Stanley Park Brewery circa 1897 (an early photo of it appeared on some recent SPB labels) was located at the Coal Harbour end of Robson Street where it meets Lagoon Drive, near where some tennis courts are now. Before it was a brewery, the 19th-century location was a large family home built by GG Mackay (“the Laird of Capilano”), a colourful entrepreneur with his own fascinating history who bought tracts of land around BC. The land cost $1,000, a very significant amount for 1888, foreshadowing the insane cost of land in Downtown Vancouver to this day. At that time, the land was not considered part of the newly created Stanley Park which had opened only a few weeks before. In 1893, GG died and the house passed to his son and heir, Harry, who tragically died in 1896 at the age of 25. It’s here that the strange figure of Francis Foubert enters the picture. 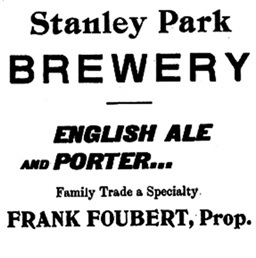 “In 1897, Belgian pioneer brewmaster Frank Foubert established Stanley Park Brewery on the south shore of Lost Lagoon next to the entrance arch in Stanley Park”, or so the legend/modern press release goes. However, as you may have guessed, this is only partly true. Francis was not Belgian (he was born in Ontario of French descent) and had never brewed a beer in his life. He was a hotelier by trade when he purchased the house for $2,000 and began converting it into a brewery. By his own admission, he was a very busy man–too busy to take part in the 1891 census it seems, as he was taken to court for refusing. At his trial, the judge was suitably lenient for this fairly minor infraction, but Foubert doubled down and again refused on the basis of still being too busy. Evidently baffled by this behaviour, the judge fined him $10 and told him that if he skipped it in 1901 he would “receive the full penalty of the law”. Foubert complied and completed the subsequent census as ordered. The first brewmaster was John Dyke, a British brewer hired by Foubert and a bold choice. At the time, lagers were very much the prevailing taste thanks to local beer barons from Germany, but Dyke launched a short series of Porters and English Ales. As I have similarly found 120 years later [via my own brewery, Real Cask Brewing], these flavours found some fans, but were only modestly successful despite Foubert’s hyperbolic claims that his brand was fully the equal to Bass or Guinness. In the early 20th Century, the brewery was leased to Hose & Allen, local liquor merchants. Dyke continued as brewmaster, although the relationship seems to have been disharmonious. In 1903, Hose sued Dyke for $210. 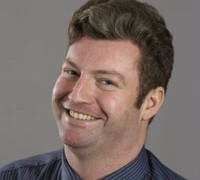 The reasons are unclear, but it may have been because Dyke was a shareholder in the newly formed “Stanley Park Brewery Limited” that attempted to purchase the business. Dyke fought back and won, keeping his job, but this ended the lease to Hose & Allen. The ailing Foubert refused to sell, instead leasing it to someone else, and again allowing Dyke to keep his job as brewmaster. The new lease-holders had been running the Cedar Cottage brewery, but now moved operations to The Stanley Park facility. Sadly, during this changeover Foubert died and ownership passed to his widow, Charlotte. Mrs. Foubert retained an income from the lease until 1908 when Jacob “Jake” Grauer ‘assisted’ in the sale of the land and business to the City of Vancouver. He bought the land from her for $16,000 and then sold it 24 hours later to the city for $23,000, an early example of Vancouver shadow property flipping. Production was slowed after the sale and by 1909 the brewery ceased operations. Shortly after that, the building was demolished and the land left fallow. The land’s proximity to the park, and management by the city, meant that over time people just began to assume it was always part of the park, but that didn’t actually happen until over 70 years later when Vancouver’s Mayor and Council, lead by the infamous beer enthusiast Gordon Campbell, passed a motion in October 1985 to “consolidate the city-owned lands on both sides of Robson Street, northwesterly of Lagoon Drive… to create a park site”. And with this small and unremarkable decision, the land was finally made part of Stanley Park. Thus “care and custody” was passed to the Parks Board who maintain it to this day. 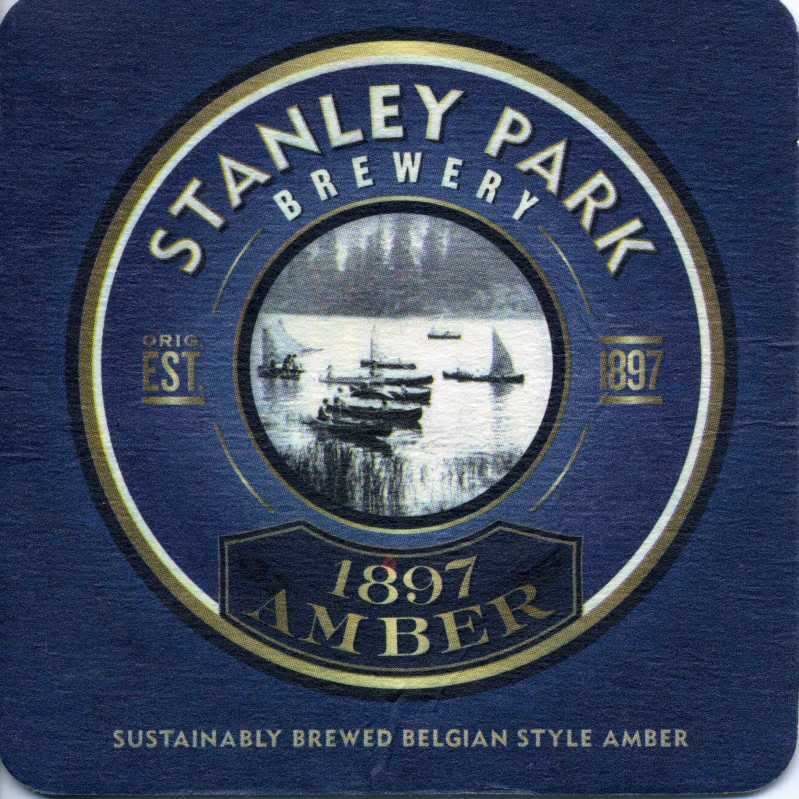 The “Stanley Park Brewing” name passed into history like so many other forgotten brands ,until it was resurrected by MAG’s Turning Point Brewery when they launched their “1897 Amber Ale” in 2009. This is just a shallow dive into the curious history that peripherally involved many other notable early Vancouverites like Jack Khatsahlano, Joe Forte and John WIlliams. This article was inspired by Bill Wilson’s excellent 2011 book “Beer Barons of BC”. In part 2 of this story, I’ll be looking at the history of the Fish House building and the controversy surrounding Stanley Park Brewing’s proposed development of it as a Brewpub. Hi Adam, Do you know if and where that Beer Barons of BC may be available? I can’t seem to find a contact for the author. You might be able to find more info there? Looking forward to Part 2, especially since I’ve already seen the case made by the Stanley Park Advocates on YouTube (https://www.youtube.com/watch?v=gFlJbHnkQ1o&feature=youtu.be ) Frankly, something feels not quite up and up on the part of the Park Board. Skip Gregory we agree with your spidey sense. It is strange why the Park Board after a simple request to for proper public notification and to hold a public information meeting would not comply even though that is a typical part of their Public Engagement Standards. As well, why when there were plenty of local businesses interested in this high profile location did they selectively sole source Anheuser-Busch? Why was there no environmental study done for this sensitive park area near the at-risk Great Blue Herons? By the way, the Park Board never responded to any of the public’s questions raised in the Report. Adam, thanks for shining your bright light on this murky situation. You and others are doing a great job of getting to the truth behind misleading marketing and ploy by Anheuser-Busch to masquerade as a craft brewery in our parks system.